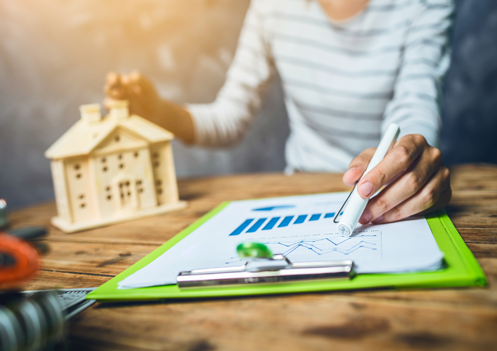 The new federal tax bill punishes homeowners in regions where home prices and property taxes are high, such as many parts of Massachusetts, New York, New Jersey, Connecticut, California, and Washington, D.C.
Property tax deductibility is also potentially impacted. Under prior law, homeowners who filed an itemized federal tax return, could deduct state and local taxes—including property tax. Under the new bill all state and local tax deductions—including property tax—is now limited to a total deduction of $10,000 per year. That $10,000 limit applies to individual filers and married couples filing a joint tax return. I have long advised that you never want to buy a house based on the after-tax cost. My reasoning had more to do with what it said about the borrower: that you were stretching to buy a house you honestly couldn’t afford. If you needed the tax breaks to make the numbers work, I took that as a signal that you weren’t following my advice to live within your means but below your needs. The new tax law adds another layer of reasons to not rely on tax breaks when making an investment, especially a home. Sadly, I fear many homeowners could be in a for a rude awakening in 15 months, when they file their 2018 tax returns. The scaling back of these home-related tax deductions could result in a higher tax bill. If you work with a trusted tax advisor, now is the time to sit down and run through your estimated tax bill for 2018. If you will indeed see your tax bill rise, that’s something you want to start saving for now, rather than needing to scramble in March or April of 2018 when you are staring at a bigger tax bill. In the coming weeks, I will provide links to online calculators you can use to estimate your 2018 tax bill. Because the new law was just passed, online calculators are in the process of being updated. I will provide suggested links ASAP.